30/30/30/ Sale; 30% off All Flowering Tropicals, all Pottery & Proganix–o™ !Closed Wednesday July 4th! As we sail out of June and into July, I have been reflecting on the fact that June is one of our ‘short’ months. Along with April, September, November…and February, June occupies one of the five ‘short’ slots on the calendar. We need those short months. Were it not for them, our year would get all screwed up, not all at once, mind you, but it would happen over the passage of time. If all of the months had 31 days, our seasons would look quite different in just a few years. In just five years, we would already be a full 30-day month out of sync. By the end of February 2023, in the ‘dead’ of winter, we would already be at April Fool’s day, seasonally speaking. If fifteen years were to pass, with every month having a 31-day calendar, we would be a full season out of phase. March 20, 2033 would be the first day of summer. In the span of only 61 years, we would come full circle and have effectively missed an entire year. It might come in handy. It could make you feel a bit better being a year younger than you actually are. It would be interesting having birthdays in different seasons over your life. Personally, I would enjoy having a birthday in the fall for a few years, rather than always in the spring. Enough of all this calendar foolishness! Let us make merry in the knowledge that this month has but 30 days. To celebrate the big 3-0 for June, we are having a 30/30/30 Sale. 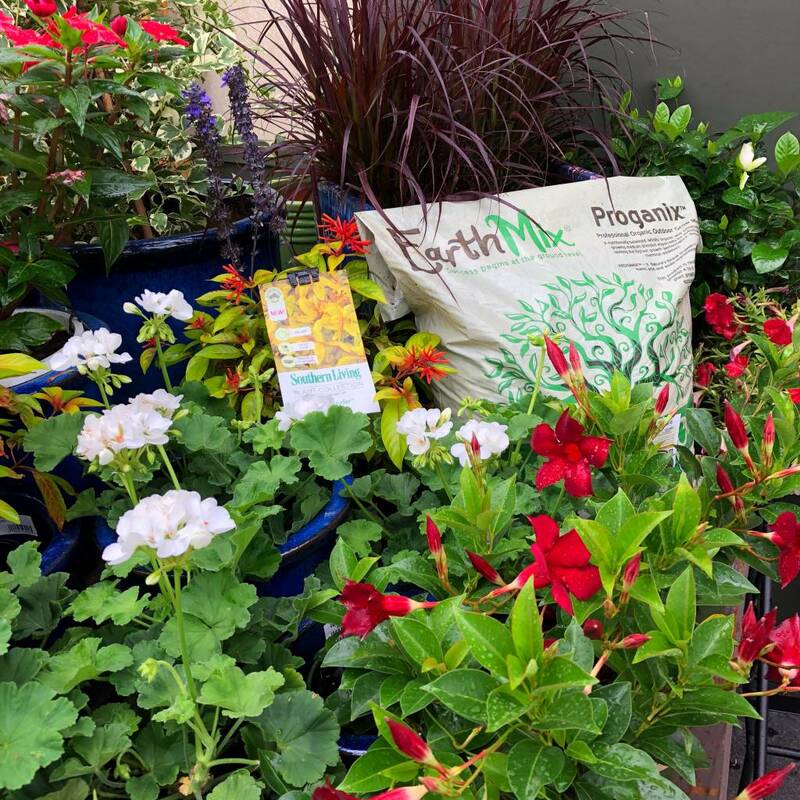 BatesRewards members (that’s you) get 30% off all pottery, 30% off all flowering tropicals, and 30% off EarthMix® Proganix-o™ Professional Organic Grower Mix! Save big on deck and patio plantings with our 30/30/30 Sale! Sale ends Thursday July 5, 2018 day’s end. We will be CLOSED Wednesday July 4 in observance of Independence Day; we will re-open Thursday July 5th at 8am.